Our dishes have been developed over past generations to deliver the most authentic Italian food in Galway. Venice is a family run Italian restaurant located in Galway city. We are well known in Galway for our homemade Pizzas, Pasta & Anti Pasti; delicious desserts and a wide range of best Italian Wines. 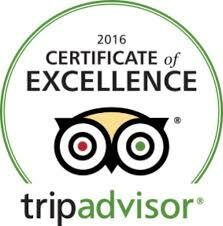 Lovin Galway described Venice as an “Italian Gem” and we were listed in the top 5 Italian restaurants in Galway.